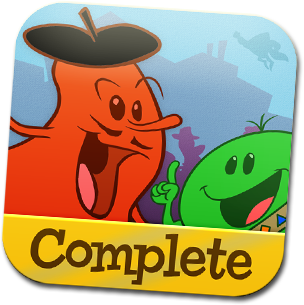 Grammaropolis has lots more to offer for the classroom experience! 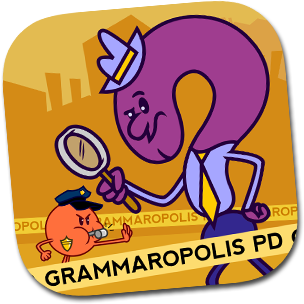 Meet Officer Period, Detective Question Mark, and Sergeant Exclamation Mark, and discover everything they do to add clarity to your writing! Includes bonus sections on capitalization and abbreviation. the grammar app for everyone! Every part of speech has its own neighborhood that includes a curriculum map with songs, books, videos, and quizzes. Follow the map to earn your badge! The Complete Edition comes with all eight neighborhoods! Sort the parts of speech as they fly across the screen. 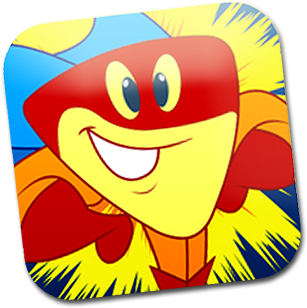 Featuring three levels of game play and three levels of difficulty. Top Ten in the App Store! A full-length music album with extended songs for every part of speech (including Slang! 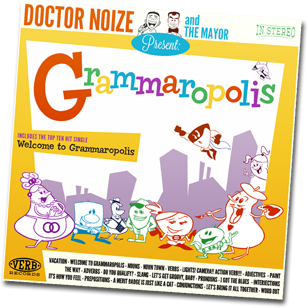 ), performed by the award-winning children's musician Doctor Noize.